Nikon has announced the entry-level Nikon D3300 DSLR camera. Nikon D3300 replaces 2012’s D3200 and gets a new 24.2 megapixel CMOS sensor with no optical low-pass filter and an “Expeed 4” image processor. The D3300’s ISO range now tops out at 25,600 and continuous shooting has increased to 5 fps. Other highlights include a 11-point AF system, Full HD movie recording, 13 special effects, EXPEED 4 image processing unit, 420-pixel RGB metering sensor, and compatibility with Nikon’s separately sold ME-1 Stereo Microphone and Wu-1a Mobile Adapter. A new, collapsible, 18-55mm F3.5-5.6 VR II kit lens has also been announced. The new kit lens is 30% smaller and 20% lighter than the exisiting 18-55, and will be available as part of a D3300 kit or selling separately. Nikon D3300 with new 18-55mm, f/3.5-5.6 kit lens price is $649.95. 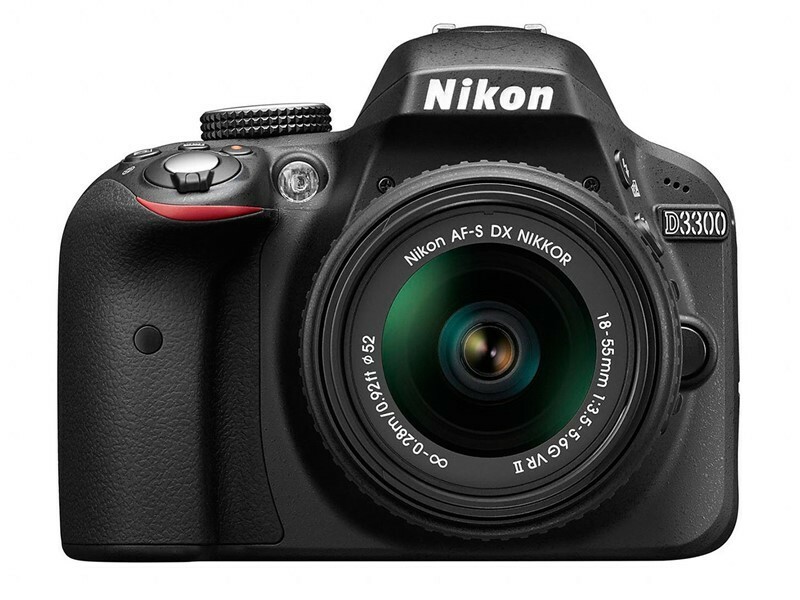 The entry-level Nikon D3300 DSLR camera will start shipping from February 20, 2014. The lens will be available at the same time and will be priced at $196.95. 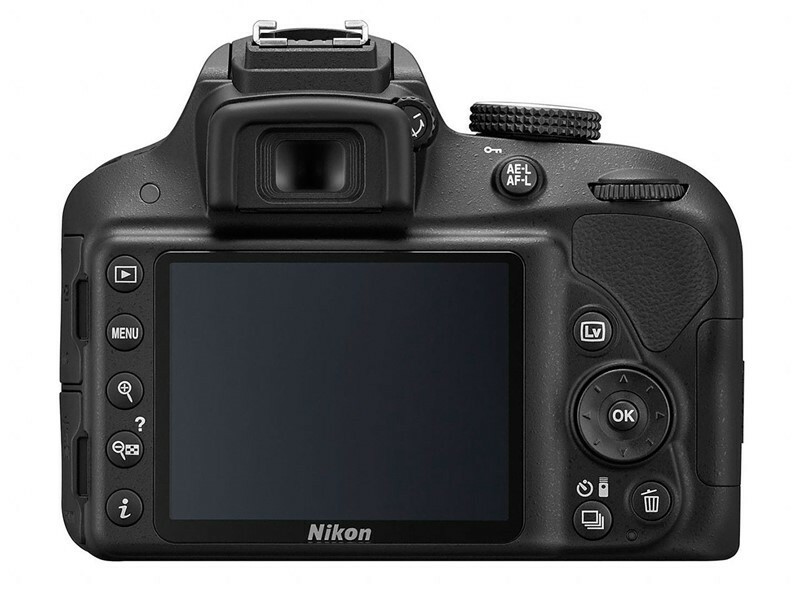 The new Nikon D3300 Digital SLR Camera is available to buy from the camera stores below. MELVILLE, N.Y. – Today, Nikon announced the Nikon D3300 HD-SLR for those ready to take their photography to the next level. Complete with a 24.2-megapixel DX-format CMOS sensor*(1) and EXPEED 4 image processor, the D3300 is capable of capturing stunning images and Full HD video with ease. Also featuring an enhanced Guide Mode for those discovering the joy of photography, optional Wi-Fi® connectivity, in-camera effects that operate in real-time and kitted with the new compact AF-S DX NIKKOR 18-55mm f/3.5-5.6G VR II lens, the Nikon D3300 is ready to help capture and preserve every precious memory. For FX-format photographers, Nikon has also announced an addition to its lineup of f/1.8 prime lenses, the AF-S NIKKOR 35mm f/1.8G. At the popular and versatile 35mm focal length, the new 35mm f/1.8 provides stellar image quality and low-light performance whether shooting landscapes, portraits or travel photos. Life is full of memorable moments that are meant to be captured with supreme quality and rich detail. The Nikon D3300 features a high-resolution 24.2-megapixel CMOS sensor to help ensure amazing image quality, even in challenging low-light shooting scenarios. The high resolution affords photographers the ability to capture crisp details or crop images with confidence. For increased image fidelity, the sensor has no optical low pass filter (OLPF), boosting resolution and image sharpness to the maximum, while the addition of a new EXPEED 4 image processor helps render true colors and precise detail in every image. EXPEED 4 also offers improved image quality at high ISOs, enhanced auto white balance performance, faster processing speeds and improved battery efficiency. Whether shooting candids of the kids or a weekend getaway at the beach, the Nikon D3300 is ready to deliver beautiful stills and stunning HD video. The Nikon D3300 is packed with high performance features that make shooting easy and enjoyable, even in difficult shooting situations such as fast action sports and low-light scenes. A wide 100-12,800 (expandable up to 25,600) ISO range helps ensure top-quality photos and video in challenging light while an 11-point Autofocus System is ready to capture fleeting moments while easily keeping pace with even the most active toddler. Nikon’s newest HD-SLR is also capable of high-speed continuous shooting at up to 5 frames-per-second (fps), great for the fast-moving action of a soccer game or dance recital. Brimming with fun features, the Nikon D3300 is ready to help create and share incredible stories through beautiful images and HD video. With the help of the optional WU-1a Wireless Mobile Adapter*(2), users can take advantage of Wi-Fi connectivity for instant uploading of images and videos to a smart device for easy sharing through social networks. Users can also remotely control the D3300 using their smart device as a remote “Live View” monitor. Releasing the shutter from a smart device will help make sure no one is left out of the next family photo. The Nikon D3300 is ready to help each user realize their creative vision with 13 In-Camera Effects and four new effects modes, including Photo Illustration, Super Vivid and Pop. The D3300 is also the first Nikon HD-SLR equipped with the fourth new effects mode, Easy Panorama Mode, enabling the capture of beautiful landscapes and stunning scenic views with ease. When the story is better told with HD video, Nikon’s newest HD-SLR is ready at a moment’s notice to help users create glorious Full 1080p HD video with vivid color and sharp details, up to 60p. Capturing gorgeous HD video is easy with the Nikon D3300 with the assistance of Full-time AF (autofocus) to help keep elusive subjects in focus, and a one-touch recording button so not to miss any moment. For those new to the benefits of D-SLR photography, Nikon has expanded upon its acclaimed Guide Mode to help users learn and explore new ways to capture great photos and HD video. Guide Mode teaches the basic functions of the camera, but also works to help the user become a better, more knowledgable photographer. When using this mode, users have access to four options: Shoot photos using example images, View/Delete, Setup and Retouch their images in-camera, making it easy for beginners to immediately take their photos to the next level. The extremely lightweight and versatile D3300 is the perfect companion for a fast moving, always on the go lifestyle. The camera features a conveniently compact body (4.9” x 3.8” x 2.9”), and is ergonomically designed for a comfortable hold that is easy to take anywhere. Additionally, the camera body is constructed with carbon fiber for lightweight durability. The D3300 is also equipped with an optical viewfinder that helps frame the perfect shot in any lighting condition, whether capturing the school play or a high school graduation. To complement the Nikon small stature of the D3300, Nikon has also introduced the new, more compact AF-S DX NIKKOR 18-55mm f/3.5-5.6G VR II standard zoom lens that inherits a familiar focal length (27-82.5mm, 35mm equivalent) while incorporating a new retractable lens barrel design found in Nikon’s 1 NIKKOR lens series. This design ensures the lens is remarkably smaller than its predecessor, and when paired with the D3300 makes the camera package nearly 30% smaller and 25% lighter. An ideal 3X zoom lens for every on-the-go moment, the 18-55mm f/3.5-5.6G VR II lens features up to four stops*(3) of VR image stabilization, a silent wave motor to ensure quiet AF operation and auto/manual focusing options. With the latest addition to Nikon’s popular f/1.8 prime series of FX-format lenses, Nikon has announced the new AF-S NIKKOR 35mm f/1.8G, a versatile fixed lens ready to thrive in any shooting situation. The new 35mm f/1.8G lens rounds out a collection of acclaimed f/1.8 lenses including the AF-S NIKKOR 28mm f/1.8G, AF-S NIKKOR 50mm f/1.8G and AF-S NIKKOR 85mm f/1.8G lenses. Sporting the popular 35mm focal length and covering a 63 degree angle of view with a constant f/1.8 aperture, Nikon’s newest FX-format lens delivers outstanding viewfinder clarity and high contrast while providing outstanding low-light performance and depth of field control. Great for available light environment portraits, landscapes and travel photography as well as for producing beautiful images with soft, natural bokeh, the AF-S NIKKOR 35mm f/1.8G is a versatile and valuable addition to any FX-format photographer’s lens arsenal and sports the latest in core NIKKOR technologies that ensure elite performance. The lens’ construction includes one ED and one aspheric element in addition to a Silent Wave Motor to provide quiet AF operation. The Nikon D3300, kitted with the AF-S NIKKOR 18-55mm f/3.5-5.6G VR II lens, will be available in early February 2014 in Black, Red and Grey for a suggested retail price* (SRP) of $649.95. The AF-S NIKKOR 18-55mm f/3.5-5.6G VR II will be available at the same time as the D3300, and will also be sold separately for $249.95 SRP*. The AF-S NIKKOR 35mm f/1.8G lens will be available on February 20, 2014 for a suggested retail price of $599.95*. 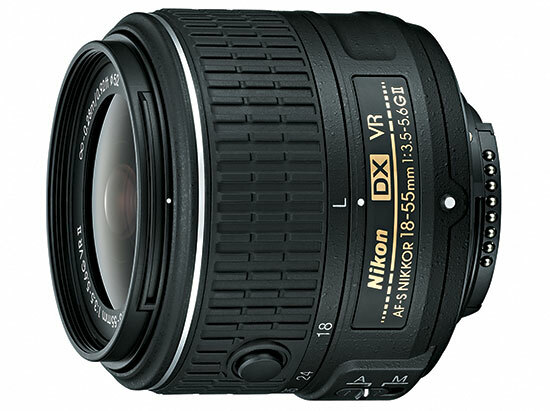 The Nikon D3300 comes with a new collapsable AF-S DX NIKKOR 18-55mm f/3.5-5.6G VR II lens. See below for the specs.